A Training of Trainers (ToT) on Community Approaches to Sanitation (CAS) was facilitated by Feedback Foundation from 9 – 13 July, 2018 at Singrauli, Madhya Pradesh. 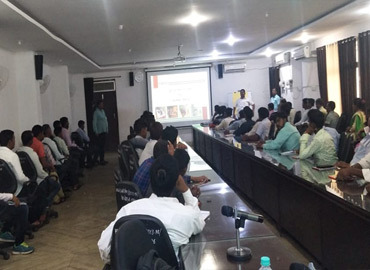 This workshop was organized by District Water and Sanitation Mission, Government of Madhya Pradesh and was attended by 69 Trainers from 3Blocks of Singrauli. This workshop aimed at enhancing the capacity of the Master Trainers/Trainers on CAS and creating a critical and dedicated district resource pool to augment and accelerate the implementation of SBM (G) in the district to make the state ODF.